In this indelible memoir that recalls the life of her remarkable ninety-five-year old grandmother, Guardian journalist Aida Edemariam tells the story of modern Ethiopia—a nation that would undergo a tumultuous transformation from feudalism to monarchy to Marxist revolution to democracy, over the course of one century. 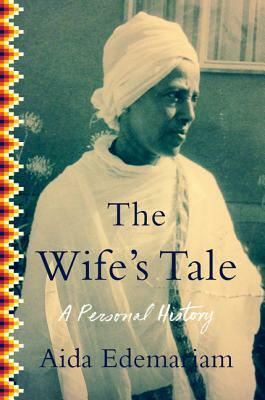 An intimate memoir that offers a panoramic view of Ethiopia’s recent history, The Wife’s Tale takes us deep into the landscape, rituals, social classes, and culture of this ancient, often mischaracterized, richly complex, and unforgettable land—and into the heart of one indomitable woman. Aida Edemariam, whose father is Ethiopian and mother Canadian, grew up in Addis Ababa, Ethiopia,. She studied English literature at Oxford University and the University of Toronto, and has worked as a journalist in New York (Harper's Magazine), Toronto, and London, where she is a senior feature writer and editor for The Guardian. Her first book, The Wife's Tale, was named a Finalist for the prestigious Governor General's Award for Nonfiction in Canada. Aida Edemariam lives in Oxford.